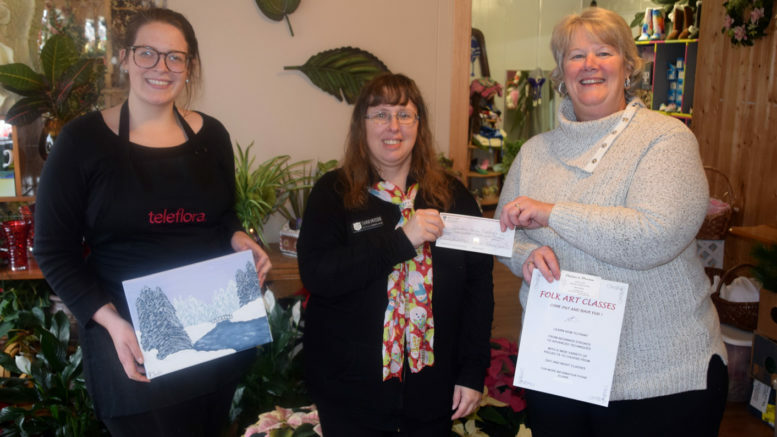 Smart Florist's Sydony Distefano (left) holds the finished product of a charity paint night, which was recently hosted at Smart Florists. Tami Switzer (centre) of the Napanee Salvation Army accepts a $325 cheque, comprised of money raised at the event, from owner Penny Smart. More charity paint nights are planned at the floral shop in the new year. Photo by Adam Prudhomme.